Great experience at 1717. Very quiet and peaceful. I love the proximity to everything. I have not had any issues living here at all. The staff is extremely friendly and so are the neighbors. 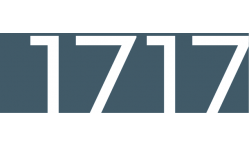 I’m glad that I chose 1717. 1717 is an appealing building from the outside and the inside. Jeff, Teryn, and Rachel are professional, friendly, and delightful Team Managers. They make sure ALL Residents are Safe in the building, A Big Thank You Team Leaders. It’s been bad as there have been major issues in the apartments surrounding my apartment. Management is also rude and doesn’t deal with issues in a timely fashion. The apartments themselves and the amenities are really nice but nothing else about the apartment is good. The maintenance folk are good too. It’s just apartment management and the constant issues such as false fire alarms, burst pipes, water damage, broken fitness machines for six months, etc. that are the problems. The facility is super nice and brand new, the managers are helpful and cheerful. Services are pretty prompt and quick and neighbors are friendly. Great apartment! Only drawback is no signal in the building. Hard to make phone calls or even text. Overall, great experience and confortable stay! It's a well-managed BUILDING & community. The staffs are all extremely friendly and helpful. The facilities are also well-maintained in this building, such as the mailbox room, the pool, and the gym. The location is really good as well. It's close to the train station and also the rail, about 5 mins walk to downtown evanston. A great place to live in evanston! It’s so conviniente to live in 1717 because of location, amenities, management staff, maintenance services, and everything else. Periodically, there are social events to watch sports, join other residents and enjoy good food and drinks. I really recommend to live at 1717. The leasing staff is fabulous! I moved here from out of state the made the process so easy ! I can’t thank them enough for fielding all my questions and making me feel so welcome when I arrived. 1717 Apartments is a great place to call home. The best features are professional and responsive property management and maintenance staff. Great walkable neighborhood, safe, quiet, nice amenities, love the outdoor deck and pool, and friendly neighbors. Great location and nice amenities! The AC/heat is very loud. And the hit water in shower does not last life than a few minutes. With the higher price point, I would have expected not to have these issues. Quiet community overall with friendly staff. Ammenties including gym and study space could be improved. Water heating needs improvement; water not sufficiently warm. The leasing managers & maintenance are professional, helpful, and friendly. Great neighbors and the managers make sure the residents are in a safe environment. The local community is great with a variety of restaurants to choose from, there is public transportation, diverse town, walking distance to the grocery stores, and there is a variety of activities to do all four seasons (summer, fall, spring, and winter). We've lived here for a few years now, and have enjoyed living in our building - it's well maintained, and the amenities are really desirable. In the same time though, we have seen a fair share of turnover in the main office staff. It would be great if there was a way of introducing new team members to our community when they begin their role! Great value, good location, good amenities. Maintenance staff are amazing! Slight difficulty moving in and signing the lease but everyone was very helpful once arrived. So far so good!! I really like the location and my apartment! The office and maintenance are always very courteous and helpful. Neighbors are friendly and it is a beautiful building. So far very fantastic experience,I like almost everything here:gym,pool ,guest suite,business center,trash room and our super friendly generous neighborhood. The apartment is new and spacious, kitchen appliances are great. Good location, it's very quiet in our apartment. Good amenities too, although coffee machine needs more frequent maintenance and gym could use one update or two (bikes!). Maintenance team is quick and helpful. Lovely apartment, love the floor to ceiling window.. Wish the staff was more attentive to residents and their needs and requests, and the building was better maintained. Establish a resident blog for communication with residents so that residents, regardless of time her, months or years, receive guidance and understand expectations regularly and clearly.